Liposuction, also known as “lipoplasty” or “suction lipectomy,” is one of the most popular cosmetic surgeries in the United States. Approximately 200,000-300,000 individuals have this surgical procedure each year. Although no type of liposuction is a substitute for dieting and exercise, liposuction is an effective body contouring treatment that can remove stubborn areas of fat and sculpt the body. Despite good health and a reasonable level of fitness, some people may still have areas of fat deposits they would like to have removed. These areas may be due to family traits rather than a lack of weight control or fitness. 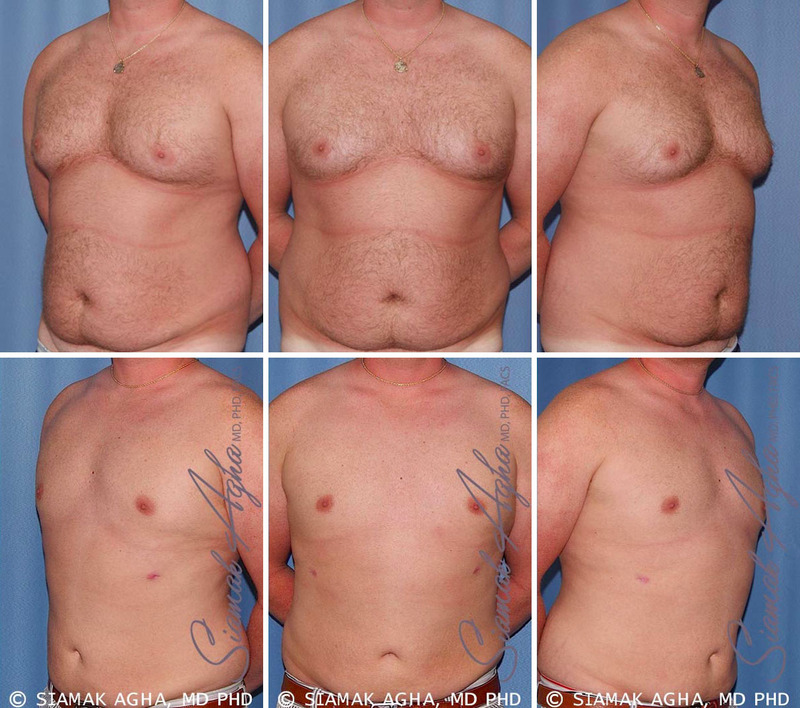 In such cases, liposuction may successfully trim this excess fat, resulting in a more slender and balanced shape. For others, liposuction offers a powerful means of removing fat that is resistant to diet, exercise, or weight loss. Liposuction truly offers the opportunity to sculpt a more desirable and highly-defined figure. The best candidates for liposuction are people of normal weight with firm, elastic skin who have stubborn areas of fat that do not respond to traditional weight-loss methods. The most encouraging aspect of this cosmetic procedure is that the fat cells, once removed from your body, will not be replenished. This means the results will be long lasting, especially with proper nutrition and exercise. It is important to realize that liposuction is not used to treat obesity, nor is it a treatment for weight control. People who are thinking about this procedure must have realistic expectations. 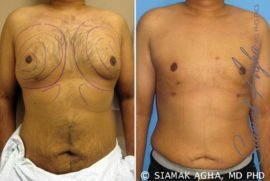 Dr. Agha, Board Certified Plastic Surgeon in Newport Beach, wants his patients to understand that there is a limit to the amount of fat that can safely be removed from some areas of the body. Is the fat removal long-lasting? Typically, when you gain weight, fat cells within your body, undergo physical expansion in size and volume. This process is dictated by multiple factors, such as gender, genetics, age, race, etc. After puberty we do not generate many new fat cells, thus the fat cells removed by liposuction will not be replaced. If your weight is stable, the results can be long-lasting. Should you gain weight, the remaining fat cells within the liposuctioned area can still expand to some degree. However, this will not be as noticeable as expansion of the fat in areas that did not have liposuction surgery. Plastic Surgery Body Contouring Center is conveniently located in Newport Beach, California and services patients throughout the Southern California area. Dr. Agha has treated patients throughout Orange County, including Irvine, Long Beach, and Beverly Hills, as well as Los Angeles, San Diego and Riverside counties.